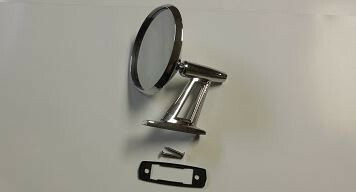 New reproduction twin post mirror. Includes gasket and screws. Fits drivers side and passengers side.